With rental prices in many Australian cities at record highs, the prospect of living rent free is an an almost unbelievable opportunity to most people. Programs currently being run in Victoria and Western Australia are offering just that, by giving suitable flatmates the opportunity to live rent free in exchange for assisting the aged or disabled remain in their homes and communities. Homeshare is one such program run by UnitingCare lifeAssist which helps elderly people stay independent and in their homes for longer, thanks to live in ‘homesharers’. In lieu of rent, the homesharer is asked to provide up to 10 hours of practical assistance around the home; helping with tasks such as gardening, cleaning or meal preparation. lifeAssist Homeshare Coordinator, Jeremy Picknell said the homeshare agreement is a special arrangement that is mutually beneficial. “It is win-win for both parties. 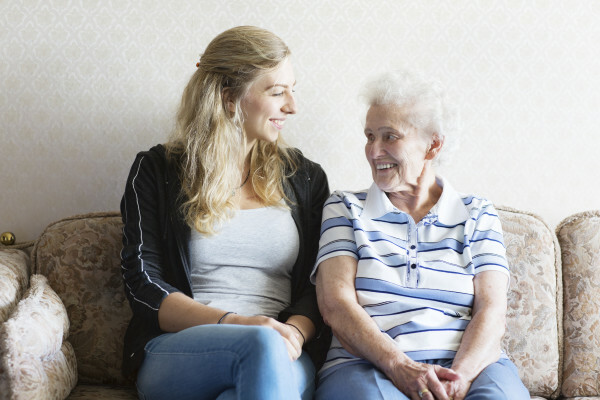 The householder benefits from the practical assistance and the security of having someone live with them and the homesharer enjoys sharing the home of a mature person,” said Picknell. Leah, 32 of Melbourne, is a PHD student currently living in a homeshare with householder Adelle, 79. Not wanting to live in typical student accommodation, Leah said she wasn’t just drawn to the program because it meant free rent. “Saving on rent is helpful, but I like that I get to give towards someone’s life,” said Leah. General Manager of Flatmates.com.au, Thomas Clement said free rent for companionship or services is more common than people might think. “In a time where the commodity of property is so high, it seems unimaginable that someone would offer a room rent free, but it happens quite a bit and it’s great to see,” said Clement. Chief Executive Officer of Perth Home Care Services, Rosie Lawn, said the organisation had run their Shared Living program for the past three years and provided their clients with great benefit. Lawn explained being a home sharer isn’t suitable for everyone and all applicants undergo stringent checks before moving in. Applicants are also required to undergo police checks, as-well-as interviews with the service provider and the householder. Both PHCS and UnitingCare lifeAssist provide ongoing support to live in companions and householders. Clement said his site Flatmates.com.au currently hosted three different providers who assist in partnering flatmates with householders in need. “It’s great to have these types of programs in our community and they have our full support,” said Clement.